Today’s topic is some of the less common causes of elbow pain. When we look at treating a joint, we always want to look above and below the joint itself for problems. In fact, two of the three areas we’re focusing on today aren’t even on the arm! To treat any of these areas, however, you’re going to want a softball or lacrosse ball, or any ball of similar size as long as it’s rigid. We’ll explain how to use it for each individual area below. There are a few reasons why these areas can impact the elbow negatively. First is via the referred pain from trigger points in any of these muscles that can manifest as elbow pain. The other reasons are more mechanical and can vary based on the activities that you are completing on a regular basis. For instance, if you have a shoulder restriction in movement due to an issue in the subscap and you are a baseball player or golfer who relies heavily on shoulder external rotation, your elbow may be at higher risk for injury due to increased stresses placed upon it because of the limitation of the shoulder. The examples are endless and since you are likely reading this article to see what other options you can try to fix your pain that you haven’t tried, lets get to them. 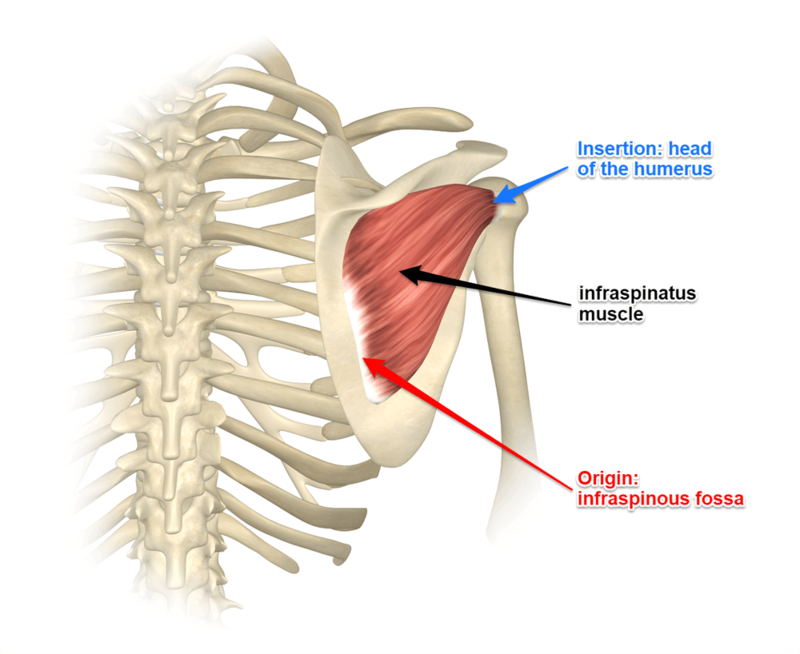 The infraspinatus is a muscle on the back of the shoulder blade. 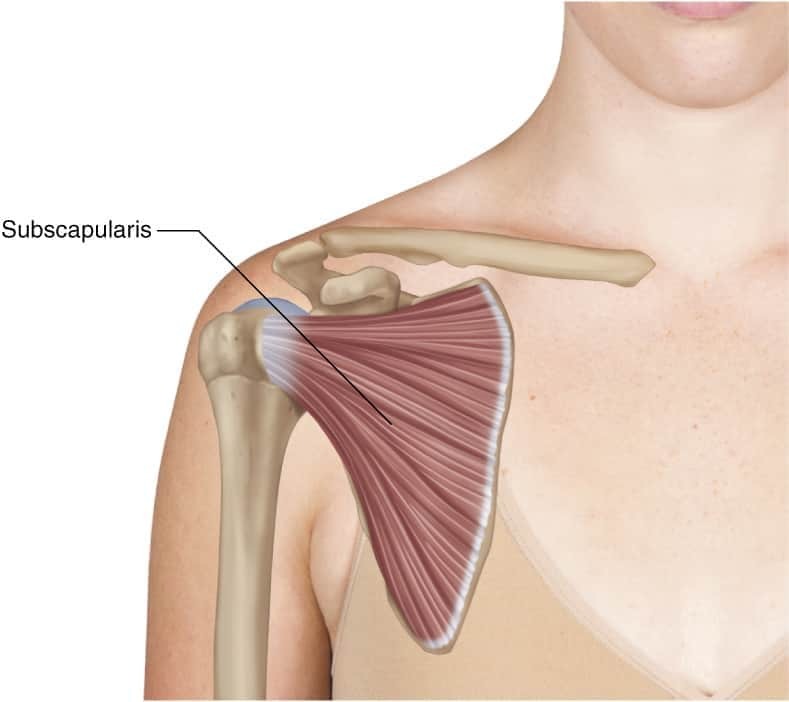 The subscapularis is a muscle between the pec and the lat, located sort of in the armpit. 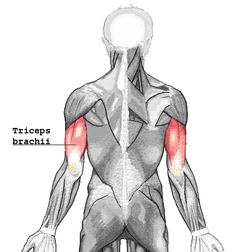 The tricep is a muscle on the back of your upper arm. To treat the tricep, you’ll need a table that can bear some weight and a chair to sit in, in addition to your lacrosse ball or softball. Set the ball on the table and sit next to it in the chair. Bring your tricep down on top of the ball. Then, roll the ball around until you find a spot that’s sore. Flex your elbow up and down for a while, then move on to another sore spot. Repeat until you can’t find any more spots that hurt. Here is a video that gives you the idea of how to do it, although they are lying down and using a rolling instead. This may not be pinpoint enough for many people.